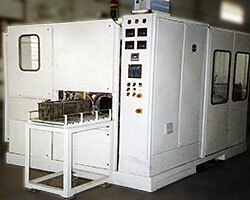 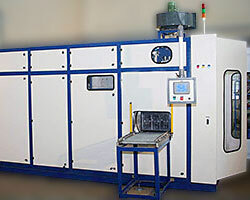 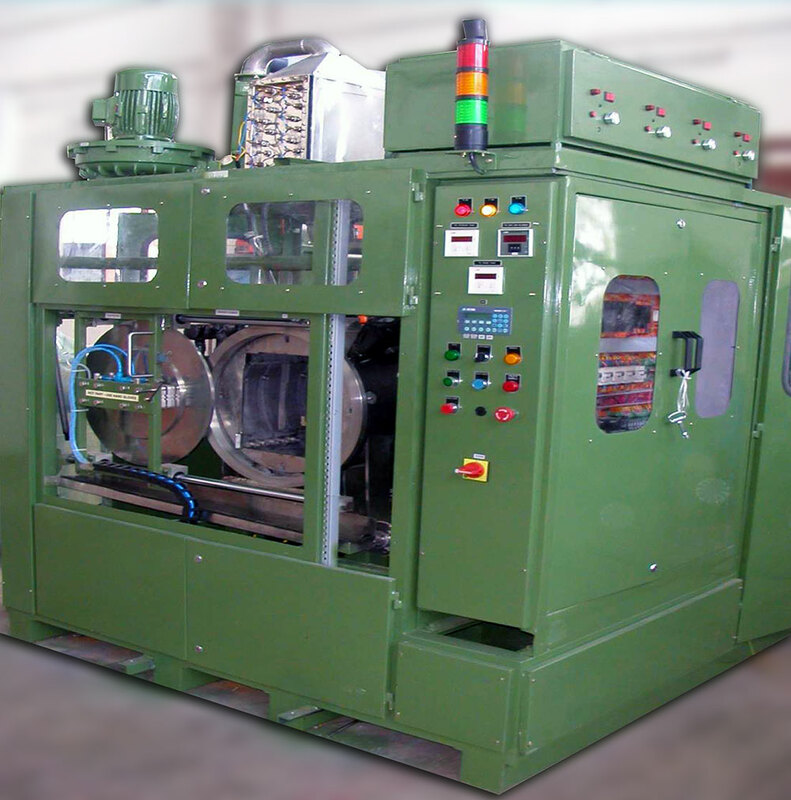 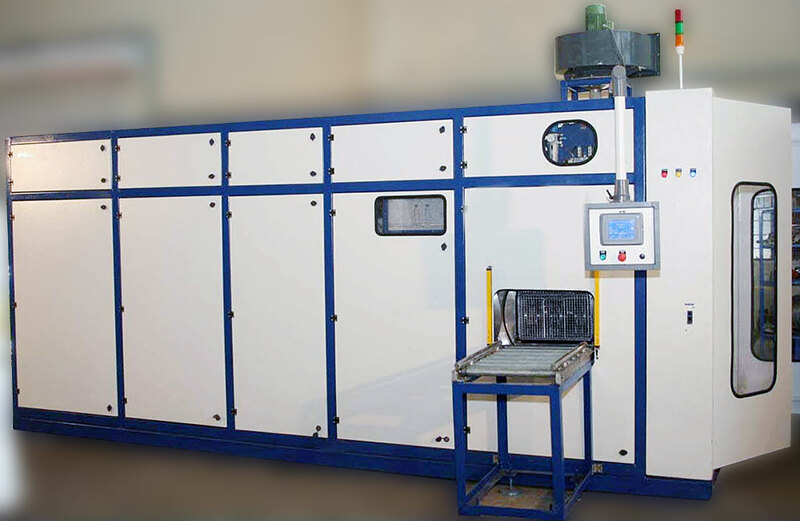 Single-Chamber, Multi-Stage (SCMS) systems are machines that contain a single load/unload chamber and multiple individual process stages within the machine. Parts stay within a single process chamber and the cleaning stages are introduced to the parts automatically within the machine. 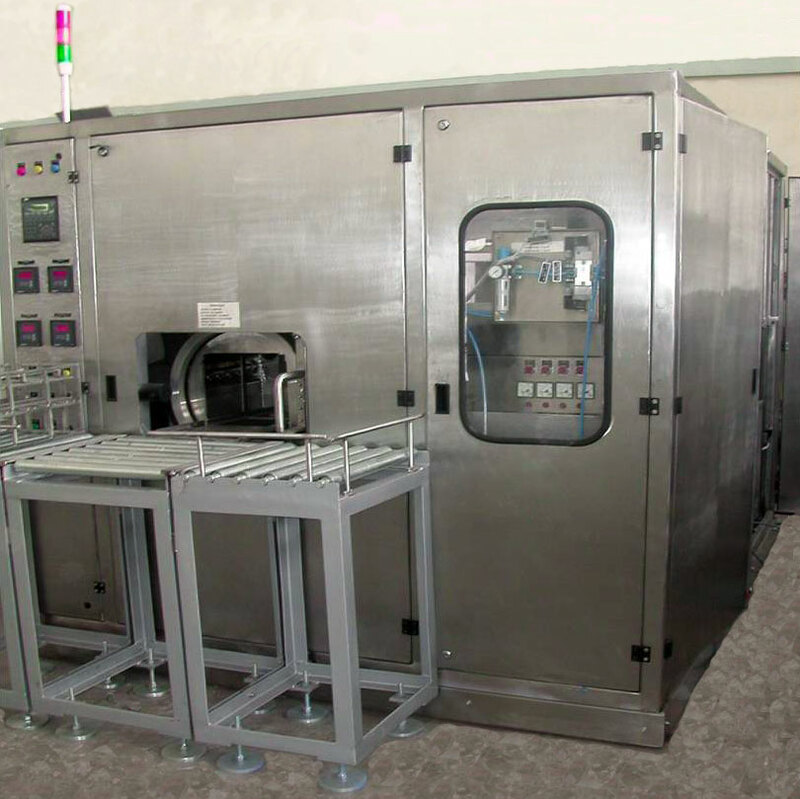 This type of machine is ideally suited to cellular manufacturing cleaning operations and lower production capacity environments. 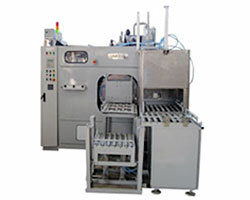 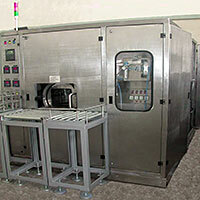 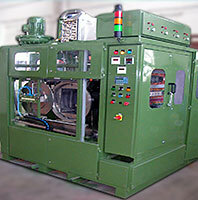 SCMS cleaning systems are usually fully enclosed machines with single load/unload access. 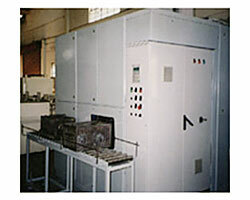 Access for maintenance is through attached doors or panels around the machine. 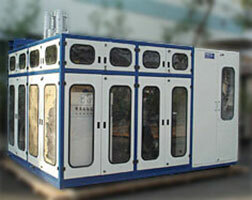 Full enclosures can be solid walled, fencing or with view panels. 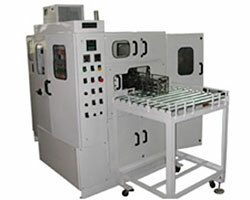 W3 can build the type and size system best suited to your needs. 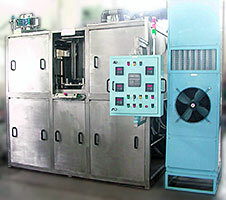 Ancillary equipment such as filters can be integral or separate. 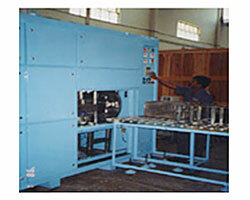 Material handling consists of bringing the part load to the machine opening. 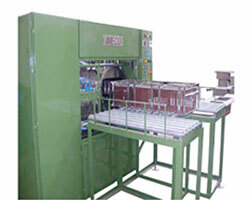 That handling can be manual or automatic as can be the load/unload operation. 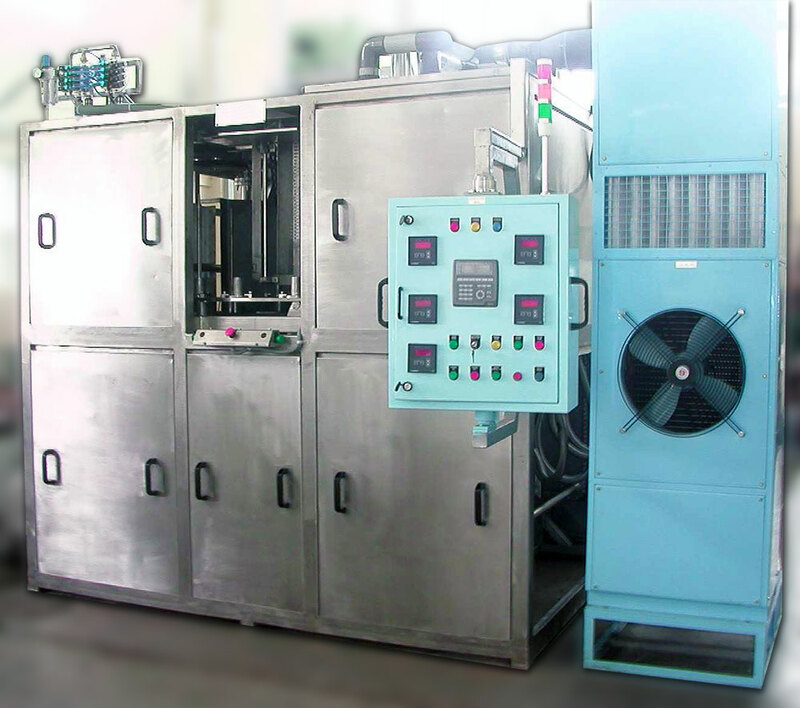 These options are determined by several factors including the userís manufacturing operation, the cleaning process and the production rate requirements all of which are evaluated during the process development stage between the user and W3.